Many happy returns Colin Firth, 50 today. It may be possible to do two jobs at once and do both well. But it’s not possible to give the commitment needed to be mayor of the South Island’s biggest city while also serving as an MP. The Christchurch earthquake proved that beyond doubt yet Jim Anderton is only saying he would consider quitting parliament and he might give up his seat if he was mayor. Anderton said he was too busy helping people following the quake and would make the decision later. I suspect he misses the irony in that statement. If he’s too busy being the MP for Wigram to make a decision it proves that the job of MP is too big to combine with that of mayor. Most of the news in New Zealand about the Australian election focussed on who would form the government. Twenty-year-old Wyatt Roy won Longman, a seat taking in suburbs north of Brisbane and on the Sunshine Coast, by a slim margin for the Liberal Party at the August 21 election, which also produced other political “firsts”. WA Liberal MP Ken Wyatt is Australia’s first Indigenous member of the lower house. There is also a Greens MP elected at a federal election for the first time – Melbourne’s Adam Bandt. Mr Roy spent his first official day in Parliament yesterday sitting next to the longest serving MP, Philip Ruddock, 67, who took him under his wing. Mr Ruddock was elected in 1973, 17 years before Mr Roy was born. The country’s youngest federal MP, Wyatt Roy, says he is uncomfortable with the formality of some at Parliament House. “I would much rather they call me Wyatt. I was talking to some of the parliamentary staff today and I said, ‘oh no, call me Wyatt’,” he said. We were in Australia on election day and saw Roy interviewed on television. He was articulate and came across as mature for his age and very grounded. He’ll need to be because being Australia’s youngest MP will mean he is likely to get more attention than most other new MPs. Google tells me that New Zealand’s youngest MP was Marilyn Waring who was 22 when she elected. If memory serves me correctly Simon Upton was the next youngest at 23. Beef + Lamb New Zealand’s Sheep & Beef New Season Outlook 2010-11 is predicting good demand for our beef and lamb will continue. In spite of that expected export receipts and farmgate returns don’t make cheerful reading. B+LNZ . . . sees beef and lamb export receipts totalling $4.7 billion, 1.6 per cent less than last year. The decrease predominantly reflects a 3.5 per cent decrease in meat shipments to world markets, while lamb prices per tonne held on last year and beef prices lifted 3.0 per cent. . .
As always, the exchange rate will have a big influence on incomes.
. . . Based on a more optimistic exchange rate assumption than today of a 68 cents/US$ exchange rate and its associated cross rates, all classes average sheep and beef farm profitability before tax is estimated to average $54,000 per farm for 2010-11, down 5 per cent on 2009-10. This continued dismal outlook underlines the importance of the red meat sector strategy and farmers are encouraged to fill out an on-line submission form. Imports greener than local produce? Lincoln University torpedoed the food miles debate when it demonstrated that New Zealand’s dairy production was more efficient than the UK’s, even when greenhouse gases were taken in to account. That hasn’t stopped people trying to persuade us to become locovores because, they say, eating local is better for the environment and the economy. They are wrong on both counts. Eating only, or even mostly, locally produced food would restrict what we eat and make it more expensive. It isn’t necessarily any better for the environment either – 100 trucks travelling 10 kilometres would be no better, and might be worse, than one truck travelling 1000 kilometres. But transport is only one factor in the debate over whether local produce is better than imports. Many of our staple foods aren’t local and there are good reasons why they shouldn’t be.
. . . why on earth would you want to try to grow these staple crops “locally”? Wheat grows very well in the Midwest where the climate, soil, and natural rainfall are conducive; it grows extraordinarily well there in large stands that can be fertilized and harvested efficiently. Yields per acre, thanks to the development of advanced strains of wheat and the extensive use of synthetic nitrogen fertilizer, have more than tripled in the last century. Worldwide, hybrid varieties and synthetic nitrogen have generated even greater improvements in per-acre yields of rice and other staple food crops. Denounce big-ag all you want; buy local tomatoes all you want; the fact remains that chemical fertilizer, combine harvesters, hybrid crops, and modern transportation networks have done a few billion times more to save the planet than you ever will. This is a small extract from a well argued post which I recommend reading in full. If you told me that fresh fruit and vegetables from the home garden taste better than those mass produced and transported long distances, I wouldn’t argue, although my support for that contention would be based on feeling not fact. But we can’t grow everything we need ourselves and Budiansky shows it’s better for the economy and environment if we don’t. 506 The bishops of Visigothic Gaul met in the Council of Agde. 1385 Le Loi, national hero of Viet Nam, founder of the Later Lê Dynasty, was born (d. 1433). 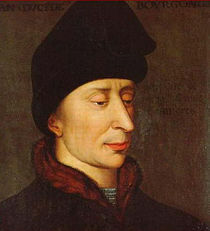 1419 John the Fearless, Duke of Burgundy was assassinated by adherents of the Dauphin, the future Charles VII of France. 1509 An earthquake known as “The Lesser Judgment Day” hit Istanbul. 1547 The Battle of Pinkie Cleugh, the last full scale military confrontation between England and Scotland, resulting in a decisive victory for the forces of Edward VI. 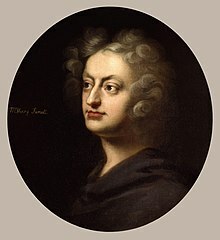 1659 Henry Purcell, English composer, was born (d. 1695). 1798 At the Battle of St. George’s Caye, British Honduras defeated Spain. 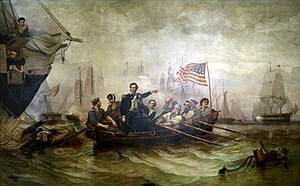 1813 The United States defeated the British Fleet at the Battle of Lake Erie during the War of 1812. 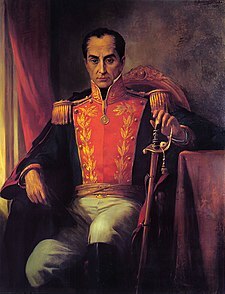 1823 Simón Bolívar was named President of Peru. 1844 Abel Hoadley, Australian confectioner, was born (d. 1918). 1846 Elias Howe was granted a patent for the sewing machine. 1858 George Mary Searle discovered the asteroid 55 Pandora. 1897 Lattimer massacre: A sheriff’s posse killed 20 unarmed immigrant miners in Pennsylvania. 1898 Empress Elizabeth of Austria was assassinated by Luigi Lucheni. 1898 Waldo Semon, American inventor(vinyl), was born (d. 1999). 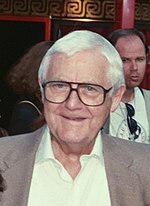 1914 Robert Wise, American film director, was born (d. 2005). 1918 Rin Tin Tin, German shepherd dog, was born (d. 1932). 1919 Austria and the Allies signed the Treaty of Saint-Germain recognising the independence of Poland, Hungary, Czechoslovakia and Yugoslavia. 1932 The New York City Subway’s third competing subway system, the municipally-owned IND, was opened. 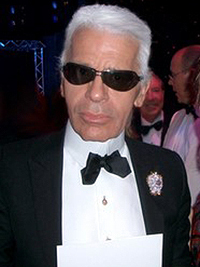 1933 Karl Lagerfeld, German fashion designer, was born. 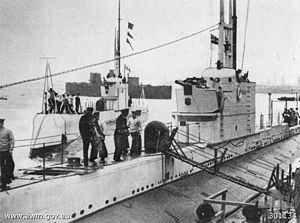 1939 The submarine HMS Oxley was mistakenly sunk by the submarine HMS Triton near Norway becoming the Royal Navy’s first losss. 1942 World War II: The British Army carries out an amphibious landing on Madagascar to re-launch Allied offensive operations in the Madagascar Campaign. 1951 The United Kingdom began an economic boycott of Iran. 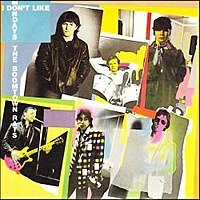 1956 Johnny Fingers, Irish musician The Boomtown Rats, was born. 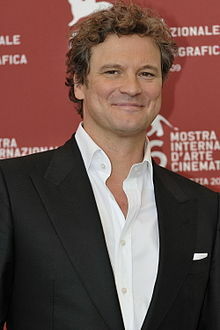 1960 Colin Firth, English actor, was born. 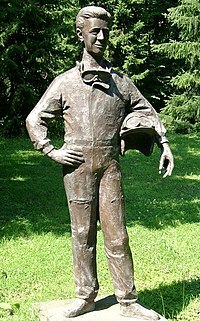 1961 Italian Grand Prix, a crash caused the death of German Formula One driver Wolfgang von Trips and 13 spectators who were hit by his Ferrari. 1963 20 African-American students entered public schools in Alabama. 1967 The people of Gibraltar voted to remain a British dependency rather than becoming part of Spain. 1974 Guinea-Bissau gaind independence from Portugal. 1976 A British Airways Hawker Siddeley Trident and an Inex-Adria DC-9 collided near Zagreb, killing 176. 1977 Hamida Djandoubi, convicted of torture and murder, was the last person to be executed by guillotine in France. 1984 The Te Maori exhibition opened in New York. 1990 The Basilica of Our Lady of Peace in Yamoussoukro, Côte d’Ivoire – the largest church in Africa was consecrated by Pope John Paul II. 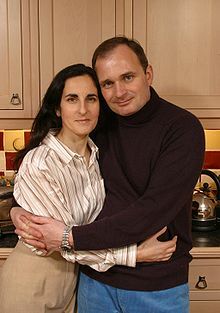 2001 Charles Ingram cheated his way into winning one million pounds on a British version of Who Wants to be a Millionaire. 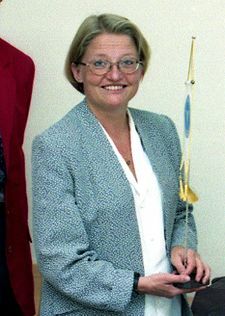 2003 Anna Lindh, the foreign minister of Sweden, was fatally stabbed while shopping. 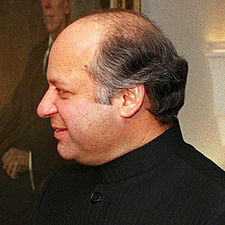 2007 Former Prime Minister of Pakistan Nawaz Sharif returned to Pakistan after seven years in exile, following a military coup in October 1999. 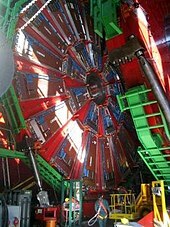 2008 The Large Hadron Collider at CERN, described as the biggest scientific experiment in history was powered up in Geneva. You are currently browsing the Homepaddock blog archives for the day Friday, September 10th, 2010.